Nintendo is currently showing a real interest in the mobile gaming world, and while the Switch could be argued to be mobile, it’s the smartphone market that is seeing the most attention right now. Nintendo continues to release some of its biggest franchises onto the iPhone and Android phones, with Super Mario Run and Animal Crossing: Pocket Camp perhaps the biggest names. 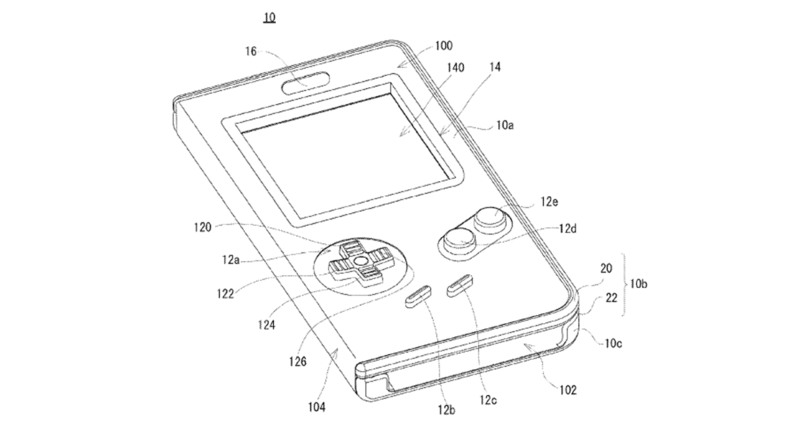 According to a newly discovered patent application, it would appear that Nintendo is working on something that will bring a whole lot of Game Boy nostalgia to the world of smartphone gaming. 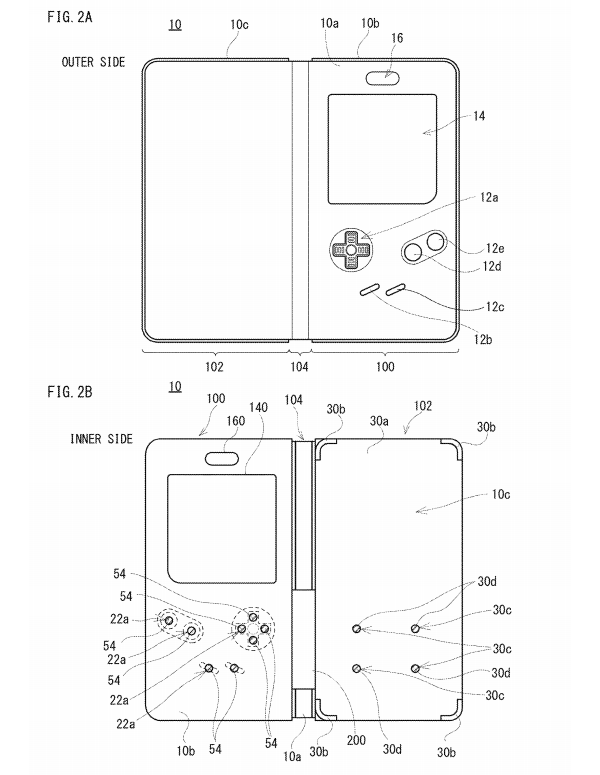 According to the patent, Nintendo is working on a case of sorts that folds over a smartphone, similar to folio cases. What makes this one so interesting is that it has a cutout at the top where the display pokes through, while the bottom of the device has physical buttons that would tap on the smartphone’s display when touched. 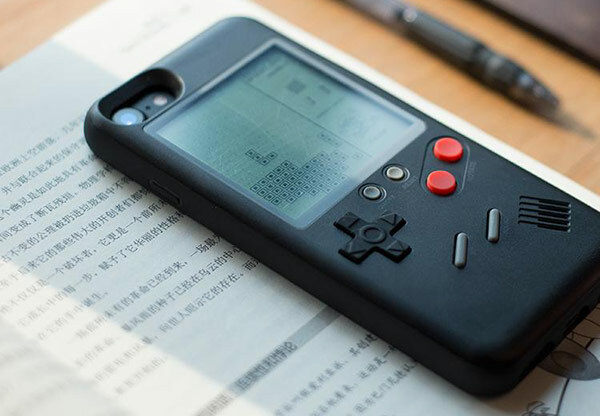 The entire thing very much looks like a Game Boy, which will immediately tickle the nostalgia bone for many of the people reading this. That’s the good news. The bad news is that there have been attempts like this one here by other companies before and, and while they won’t be comparable to first-party offering by Nintendo, they cost significantly cheaper than what Nintendo might be looking to charge for this. There’s another piece of bad news, too, with the realization that not all patents turn into real, physical products. The patent application was filed this past spring, so it’s possible something is in the works right now, but until we see the product shipping and actually turning out to be good, we’ll just sit here with our fingers crossed, hoping for the best.